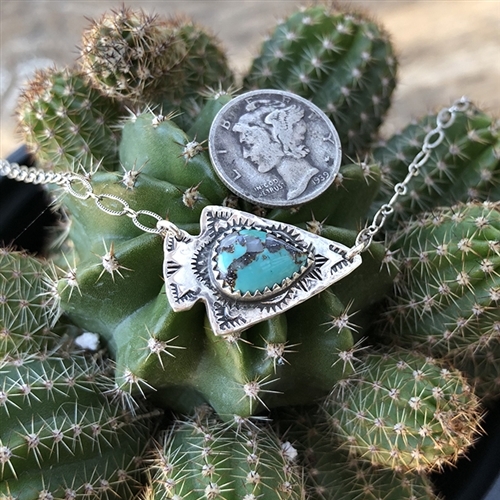 This is a handmade Sterling Silver & turquoise arrowhead necklace. It is adorned with Southwestern stamping around the perimeter. 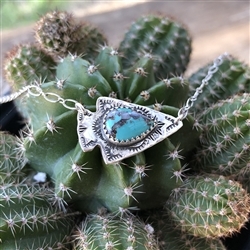 The pendant measures approximately 1" wide and 5/8" tall. Because these are handmade, stamping and shape will vary slightly. However, the same general design will be evident. *No two pieces of turquoise are the same. So shade and style may vary.